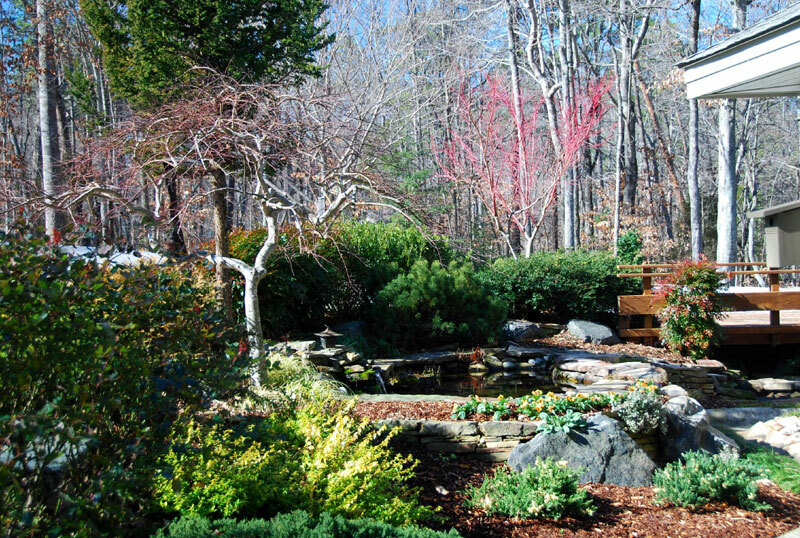 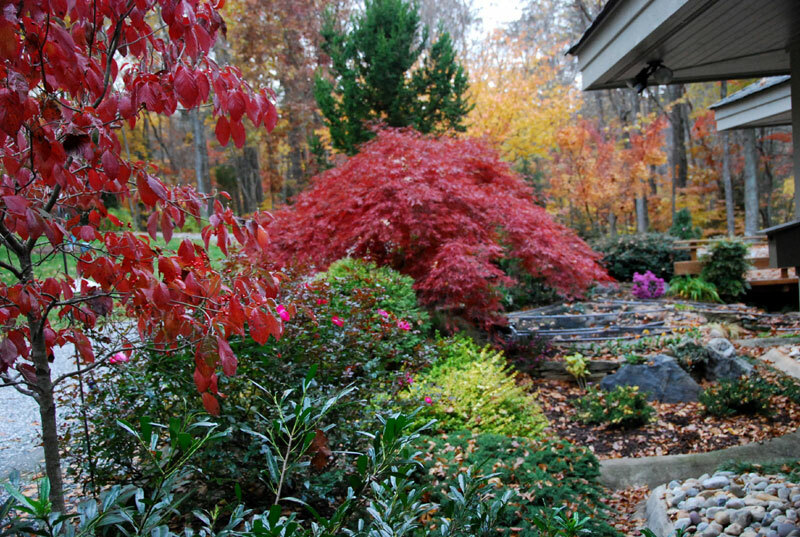 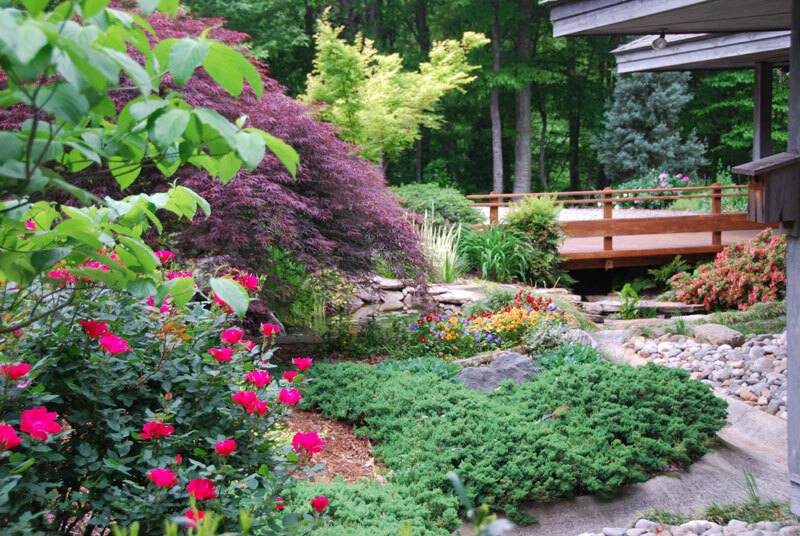 Gardeners plan for year-round color in the landscape. 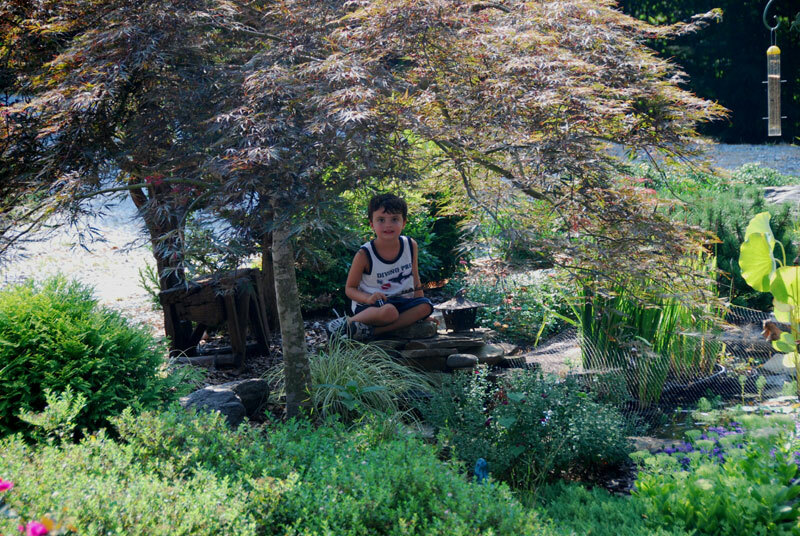 I look out the window at my Koi pond every day and it makes me happy … Here it is in four seasons. 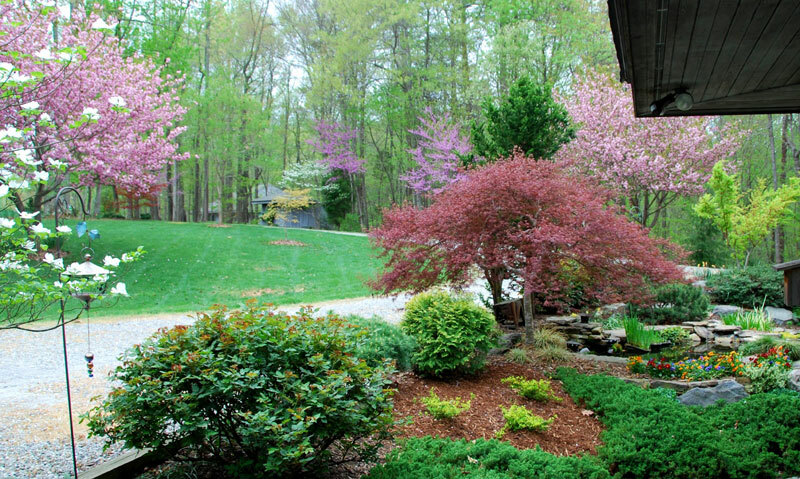 You may click on any photo for a LARGER view.